Grrr!! been having internet problems for 2 days now, will have to get it sorted or will be changing ISP!! 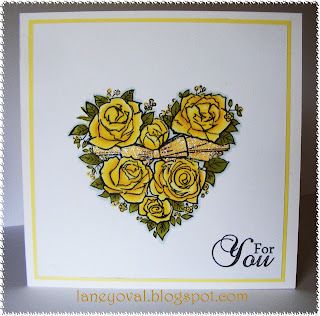 My card is made after seeing all the fabulous inspiration over at Less is More..the challenge being Yellow ..just had to join in, I have used this heart stamp from 'congratulations' clearly stamps set, coloured using promarkers and added a little stickles to give it a lift! 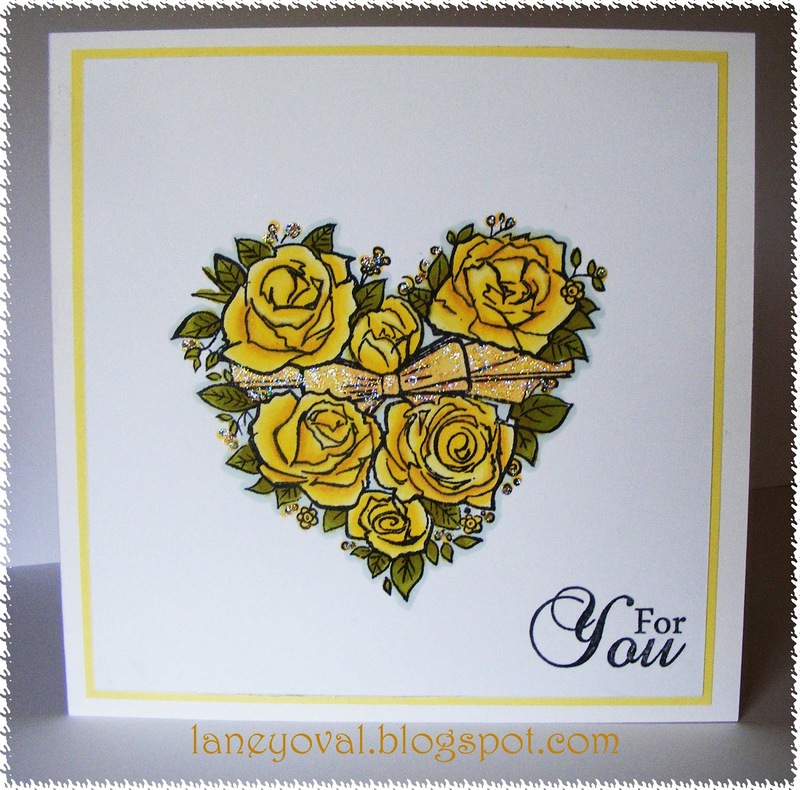 Hi Laney this is wonderful the yellow really brings out the best of the beautiful image, I am tempted to have a go for the first time myself and yet yellow is a colour I would never have thought of using, I have been so inspired by so many pretty cards. I'm glad you were inspired by our challenge... this is just super! Fab card and I love that little touch of bling. Thank you for sharing your card with all of us at Crafty Boots Challenges. Gorgeous Laney I love yellow roses they are my favourite. Lovely card Laney. Simple and sweet. WOW this is absolutely gorgeous!! Thank you for joining us at Top Tip Tuesday! Hope to see you again! Remember, you can enter 3 creations and 3 tips - 6 chances for prizes!! A great stamp that looks fab in yellow.